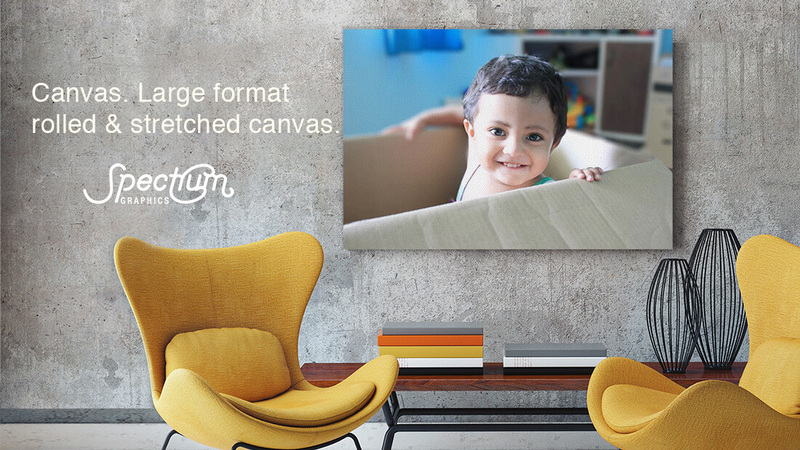 Put your art and photos on Spectrum gallery quality canvas. An artistic stretched canvas print can add the perfect touch of creativity to your office interior or home walls. Spectrum stretched canvas prints are printed on high quality, thick canvas using our state-of-the-art large format process.